The Indispensable Eco-friendly Coconut. The coconut palm, so much a part of the coastal strip and the interior waterside scene, is a great gift of nature. Grown as the second most important plantation crop, Goa is estimated to have over 2.5 million trees producing on average 30 fruit each per year. The green fruit yields an excellent refreshing 'milk' which is on tap whenever the top is cut off. The 'shell' is split open to expose the soft white kernel which is edible. The outer fibrous coir, just under the skin, is soaked in tanks before being woven into mats or twisted into rope. The dry, older nut with a white layer of 'flesh' or kernel (copra), which is grated or pounded for cooking curries and preparing sweets, can be often seen being sold in market stalls. The Goans prize the sap which the toddy tapper collects every few weeks from the base of a fresh leaf. The fresh sap can be drunk as a sweetish juice before it begins to ferment in the warmth, or it can be processed to produce vinegar or jaggery sugar. Most Goans, however, prefer it as the lightly alcoholic feimented urak or the intoxicating feni which is produced through distillation, a method learnt centuries ago from the Portuguese. Palm oil and cattle feed in the shape of oil cakes are also products in demand. But, the trees' uses don't stop here since throughout the year the leaves are used for weaving baskets and providing thatch for shelter. Then, when the tree dies, its trunk comes in handy for cutting up for use in building. 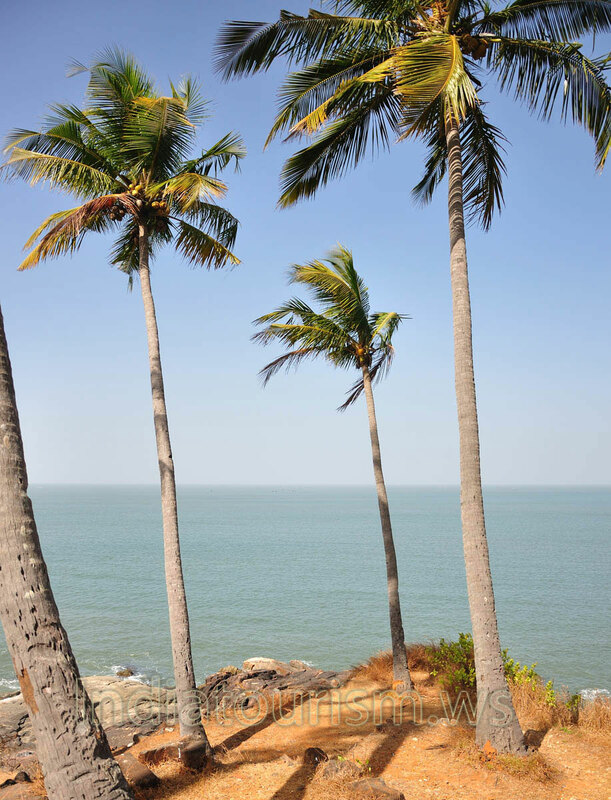 It is not surprising that every Goan family living anywhere near water will tend a coconut or two.